Alexandre Antunes arrived weeks before his brother, Ronaldo. Lindalva Pinheiro da Silva was just 24 weeks pregnant with twin boys when her water broke. Doctors at Tufts Medical Center in Boston did everything they could to delay da Silva’s labor. Considered the threshold of "viability," an estimated 50 percent of babies born at 24 weeks don't survive, and those who do are at risk for a host of health problems. But four days later, Alexandre was born. He weighed 745 grams –- roughly 1 pound, 10 ounces. Da Silva said her husband, Ronaldo Antunes, could hold his son in the palm of his hand. Da Silva stayed in the delivery room as her son was whisked away to the neonatal intensive care unit, but the second twin didn’t come. The contractions waned, and da Silva’s once-dilated cervix closed back up. 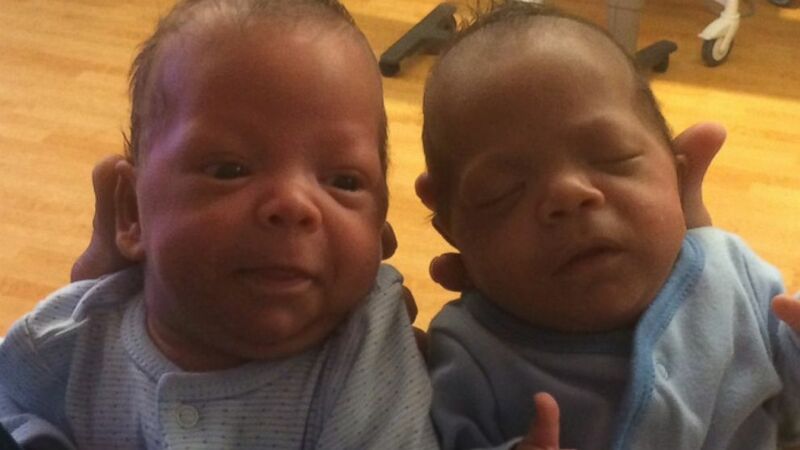 (Courtesy Lindalva da Silva) Twins boys Alexandre and Ronaldo were born 24 days apart. As Alexandre grew in an incubator down the hall, his twin brother Ronaldo grew inside the womb that the pair once shared. Da Silva took antibiotics to fight off infections, since Alexandre’s umbilical cord and placenta were still inside her. Thankfully, da Silva remained healthy. She was able to walk back and forth between her room in the maternity ward and the NICU. “I would sing to him and touch him,” she said of her visits with Alexandre. Three weeks after her first delivery, da Silva started having contractions again. This time, labor was neither quick nor painless. But born at 3 pounds, 3 ounces, baby Ronaldo was bigger and stronger than his brother, thanks to an extra 24 days inside. Now, three months later, the twins weigh more than 6 pounds each. Da Silva admits that the first few months of motherhood have been far from easy. Alexandre is still a bit smaller than his brother, and doctors say he might need surgery down the road for eye problems and a hernia. But da Silva said she hopes the pair will be able to leave the hospital next week –- right around their June 18 due date.